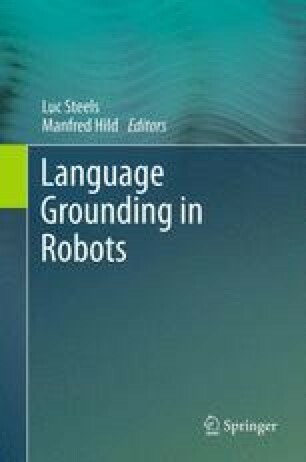 This chapter introduces a new experimental paradigm for studying issues in the grounding of language and robots, and the integration of all aspects of intelligence into a single system. The paradigm is based on designing and implementing artificial agents so that they are able to play language games about situations they perceive and act upon in the real world. The agents are not pre-programmed with an existing language but with the necessary cognitive functions to self-organize communication systems from scratch, to learn them from human language users if there are sufficiently frequent interactions, and to participate in the on-going cultural evolution of language.